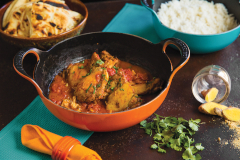 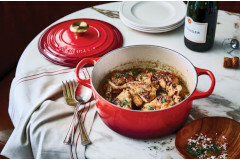 Le Creuset Cast Iron Round Ovens is made to fit most family meals. 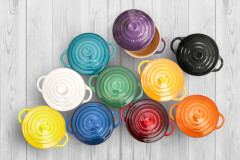 Perfect for soups, stews and other family favorites. 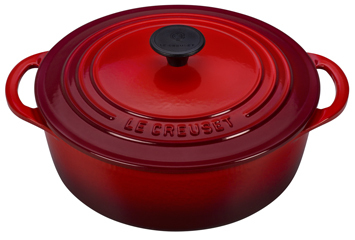 Le Creuset round ovens can also be qualified as a Dutch oven (with much more flare). 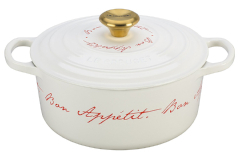 The enameled coat helps keep food from sticking while slow cooking.